The first issue of the Louisiana Law Review went into print in November of 1938. 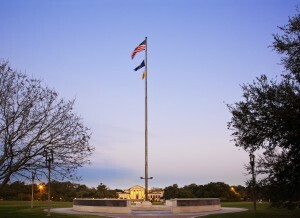 To commemorate the founding of the Law Review, former LSU Law Center Dean Paul M. Hebert wrote, “[I]t is perhaps not too much to say that with common law influences pressing on us from every side, the very existence of the juridical method of the civil law in Louisiana is seriously threatened and its survival would appear to depend upon the ability of the law schools and the legal profession to develop and make available the essential doctrinal materials dealing with the modern civil law. With this end in view, it will be the policy of the Louisiana Law Review to place special emphasis on matters pertaining to civil and comparative law.” Dean Hebert foreshadowed the Law Review’s lasting impact on the legal landscape of Louisiana and the civil law tradition for years to come. 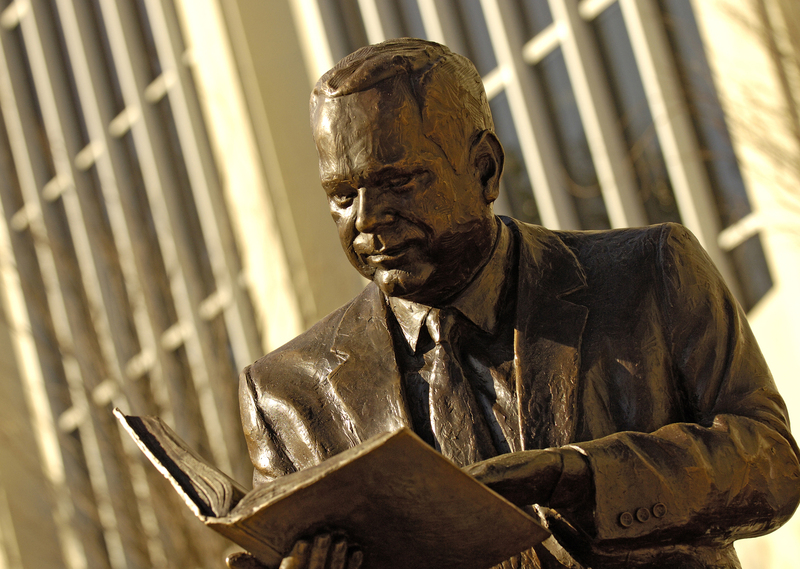 Since 1938, the Louisiana Law Review has served as Louisiana’s flagship legal journal and has become a vibrant forum for scholarship in comparative and civil law topics, just as Dean Hebert predicted. The Law Review currently ranks in the top 200 student-edited journals, and among the top 100 journals for the highest number of cases citing to a law review. Louisiana Law Review scholars have been recognized around the world for their contributions to both common and civil law doctrine. A 2007 student comment served as the foundation for the legislative revisions to Louisiana’s community property law. In 2009, one of our members received the national Scribes Law-Review Award for the best student-authored law review article of the year. Moreover, an alumna of LSU Law was invited to participate in a French national symposium to review French prescription law in light of his article on the doctrine of contra non valentum. Subscribers to the Louisiana Law Review reside all over the world in areas such as France, Great Britain, Canada, Central America, South Africa, Thailand, Israel, Japan, and the Philippines. The mission of the Louisiana Law Review is two-fold. First, the Law Review endeavors to further the positive development of the law by presenting the highest quality of legal scholarship to the legal community. This objective is accomplished through publication of leading articles, legal essays, practitioners’ notes, and book reviews prepared and submitted by scholars, jurists, and practitioners from across the state, around the country, and throughout the world. Second, the Louisiana Law Review seeks to engender in the best students of the LSU Law Center a desire to further distinguish themselves through exercises in intense legal research, analysis, and writing. In furtherance of this objective, the Law Review provides associates and members with a forum in which to make unique contributions to the discipline through publication of student-written comments and case notes on issues of contemporary significance. LLR Lagniappe, formerly known as the “Digital Digest,” is the official blog of the Louisiana Law Review. It is an online extension of our print journal, which is intended to foster legal education in Louisiana by engaging scholars and practitioners in the discussion of timely, relevant legal issues. Our blog features short commentaries on legal developments in Louisiana and beyond, as well as the scholarly content published in our print journal. By cultivating timely communication across various segments of the legal community of Louisiana, our blog seeks to harness the value of scholarly insight that may otherwise be forgone due to the time constraints and traditional format of the customary law review editorial process. 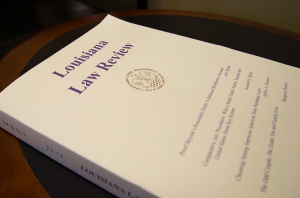 LLR Lagniappe is managed by the editorial board of the Louisiana Law Review at the Paul M. Hebert Law Center. Junior Associates of the Louisiana Law Review are selected at the end of the first year of law school through a mandatory write-on competition. The topic, research, and details about the write-on competition will be distributed in the spring after the 1L exam period.